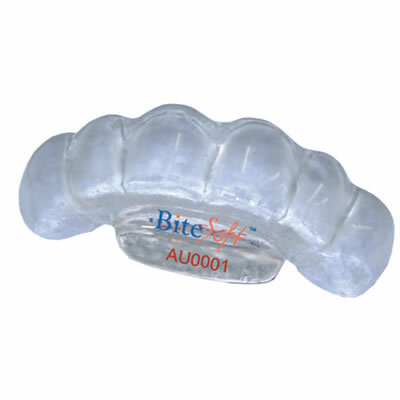 The BiteSoft Anterior Splint is used to help patients overcome bruxism; as well as, for the successful management of headaches and jaw pain resulting from clenching and grinding. It is custom-fitted and worn over the 6 anterior teeth while sleeping. The lingual ramp's patented design helps establish mandibular stability and relaxation of tense jaw muscles.